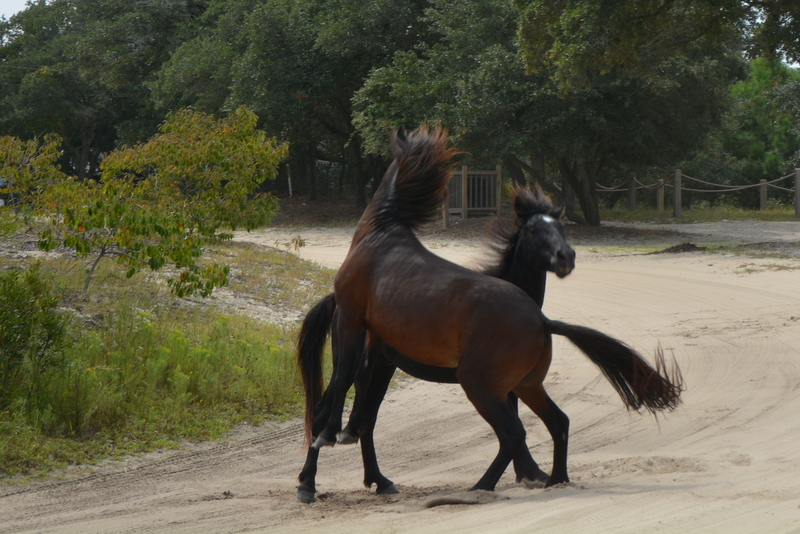 Yes, I admit to being horse-crazy. Oftentimes, that obsession strikes girls at a young age. For me, it happened many years decades later. 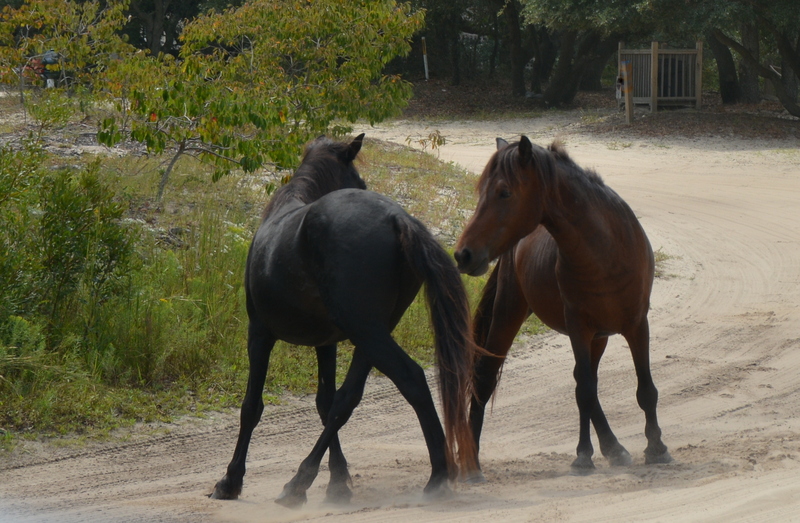 These photos are from our most recent trip to the Corolla/Carova area of the Outer Banks. Once again, it was a beautiful day. As we were riding around on one of the side roads just off the beach and rounded a turn, we heard a loud noise; it almost sounded like someone screaming. Soon we realized the sound we heard wasn’t made by humans. Yes, they’re responsible for all that dust in the air. This picture reminds me of a scene from an old western. 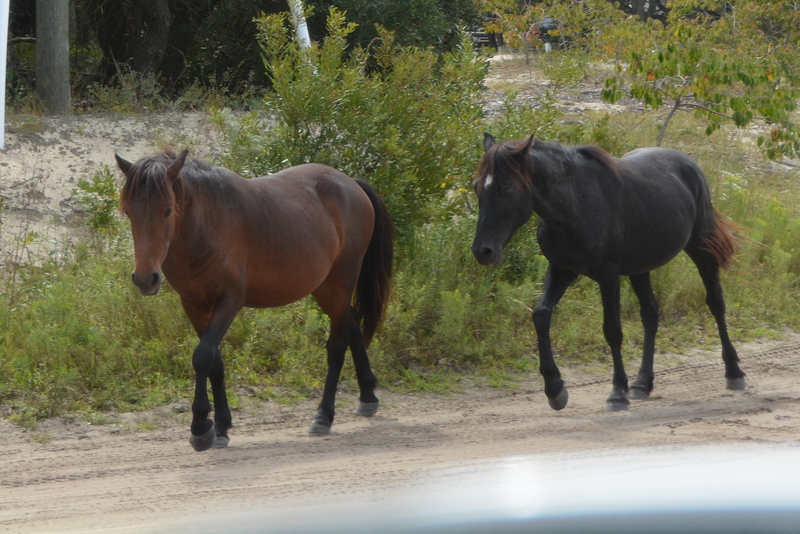 I apologize that portions of the video are shaky, and I left the audio (including the camera clicks) so as not to delete the sound the horses were making. 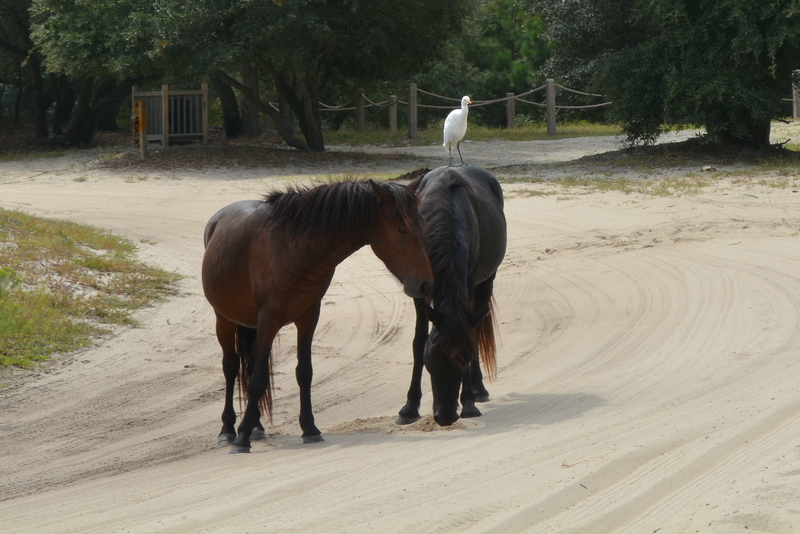 At the beginning of the video, you may have noticed the cattle egret on the back of one of the horses. It flew away when things got heated, but waited patiently on the sidelines, then returned once it was safe. Oops, this “discussion” isn’t over quite yet. I love both front legs off the ground. Guess they settled it, at least for now. 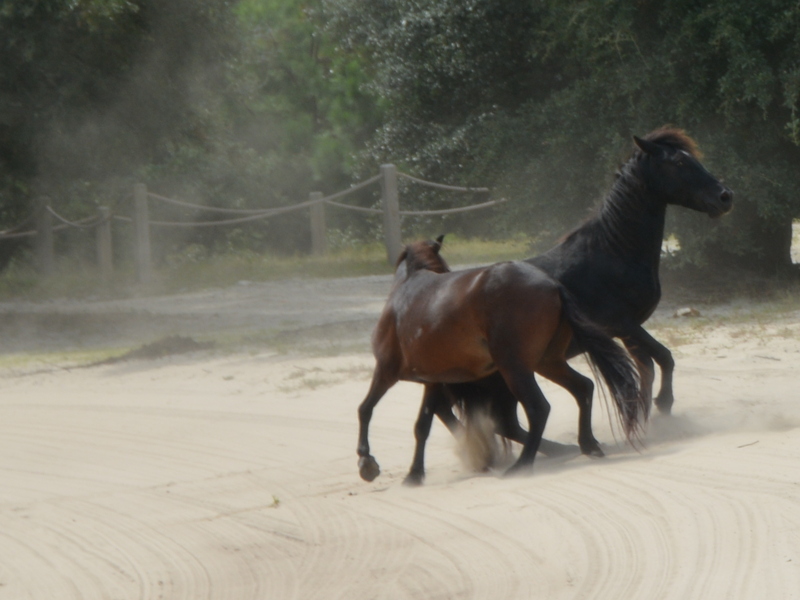 You just never know what we’ll see when we head to the beach. That’s why the camera(s) must always be within easy reach. *Thanks, Marshall, for the video editing.